An Iowa student found dead outside a college building is among the victims of the deadly freeze. University of Iowa student Gerald Belz, 18, was found unresponsive behind a campus building before dawn on Wednesday and later died in hospital. Officials said weather was a factor. His father told local news channel KCRG that Gerald was a “mama’s boy with a tough exterior”. 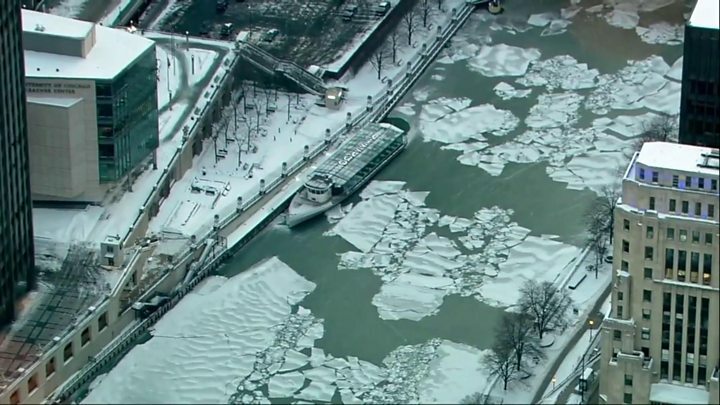 Thursday could see America’s third largest city of Chicago breaking its 1985 record low of -32C (-25F), according to meteorologists. The city has already passed the record low for 31 January. 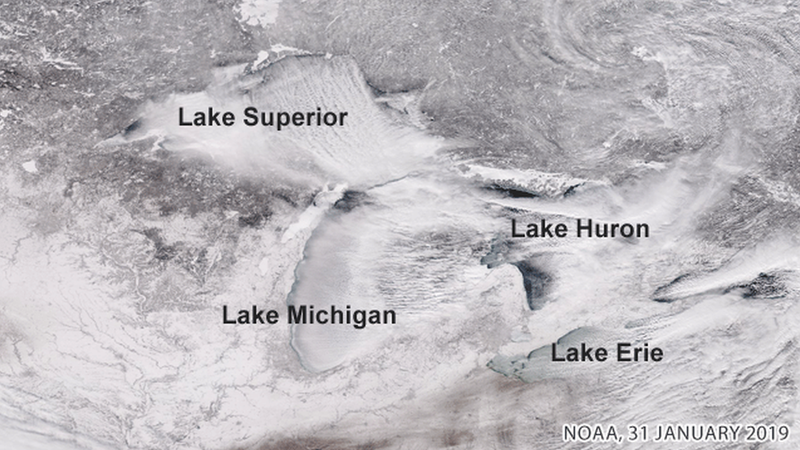 Areas downwind of the Great Lakes are expected to be buried by intense “snow lakes” into Thursday night. Rush hour hasn’t existed in this normally bustling city for the last couple of days as many have chosen to stay at home rather than brave such extreme elements. 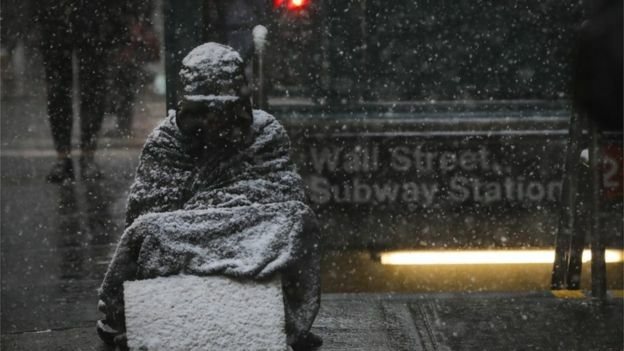 Those who did go to work arrived bundled up in layer after layer of clothing. Anything exposed – like eyebrows and lashes – were covered in frost. “They’ve frozen shut a couple of times”, one man told me about his watering eyes. We understand the timing of our request is not ideal given today’s cold temperatures, however, without additional reductions, we run the risk of not being able to deliver natural gas to families and critical facilities across Michigan – a scenario none of us want to encounter. As ice and snow continue to build up, roads have become increasingly dangerous across the northern US. In Illinois, police said they had assisted more than 1,300 motorists and received 460 calls in eight hours – 10 times the norm. Most of the thousands of cancelled flights this week were coming out of Chicago’s airports – O’Hare International is ranked as one of the top 10 busiest airports in the world. As the Midwestern city is one of the company’s hubs, train services nationwide could be impacted. The chill was even too much for Chicago’s Disney on Ice show, which cancelled its Wednesday performance. 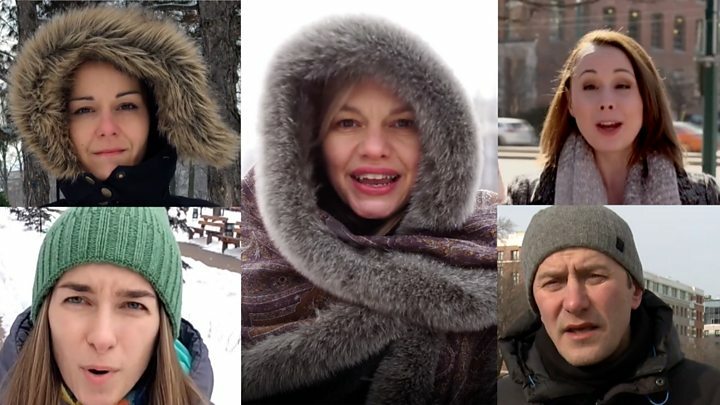 Most of Canada was under some sort of weather warning – from extreme cold in the Prairies, Quebec and Ontario to heavy snows in Alberta and Nova Scotia. 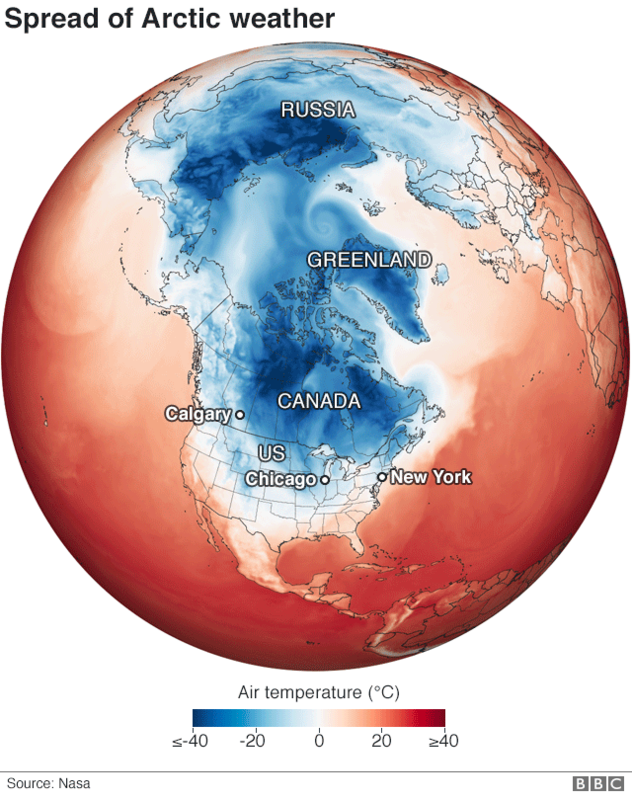 In Toronto, where winters tend to be milder compared to cities such as Montreal and Ottawa, temperatures had plummeted to -18C (0F). Icy roads and several transit delays made for a hellish commute for the city’s residents. “If you don’t get it in December, you will get it in January or February or March. What do you expect? 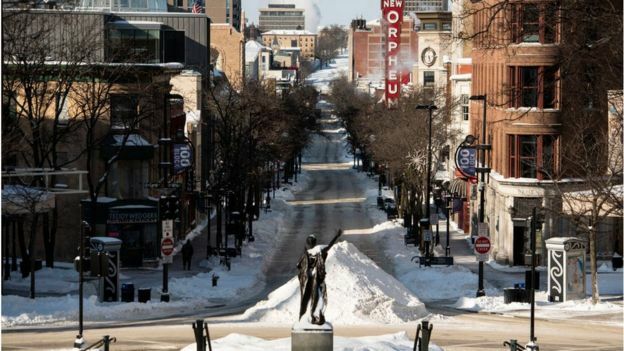 It’s ‘Winterpeg’,” Caroline Rodriguez told CBC.